How did the contest between settler capitalist and humanitarian models of Empire shape British notions of racial difference in the first half of the nineteenth century? The ‘dark continent’ description of Africa has dominated for centuries (Bates, 2012). “There is, of course, the insidious view that the problem with Africa is Africans – that culturally, mentally and physically Africans are innately different. That somehow deeply embedded in their psyche is an inability to embrace development and improve their own lot in life without foreign guidance and help” (Moyo, 2009: 31). Conversely there is the description of Africa as ‘the emerging continent’ in current newspapers such as The Economist (Bates, 2012). To understand Africa’s current affairs it is important to look at the history of colonialism as its legacies are prevalent. ‘Undeniably, racism has been, and remains an inseparable part of the Structure of South African society’ (Dubow, 1995:5). 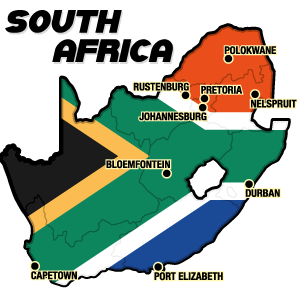 A politicised system of racial hierarchy governed in South Africa in 1948 until Nelson Mandela became the country’s first black man to be elected president (The Guardian, 2012). Mandela is internationally adored for having endured twenty seven years in prison for being an anti-apartheid activist. It took great struggle and sacrifice for a black person to gain respect from the whites and become president. Despite improvements in social norms, some racism, involving violent action, remains in South Africa today. Where did these notions of racial difference come from? Focusing on the Cape Colony in South Africa in the first half of nineteenth century, this essay aims to explain how the beliefs of racial difference between white and black people were shaped. Firstly this essay examines the two distinctive models of empire, looking at their aims and objectives for invasion and rule in distant lands. Then the paper will address how these incentives, that were considered ‘progressive’ at the time, could so easily transform into ignorance of the value of difference (Lambert and Lester, 2004). The focus is on the Cape War of 1834-7, looking at how the colonisers used trans-national networks of communication to distribute their representations of indigenous people across the empire. In the aftermath of the war there was a sparked interest in scientific racism. This essay concludes that despite differences in initial motivations, both humanitarians and settlers were proud colonisers aspiring to expand the British Empire and both were responsible for scientific racism becoming the dominant view by the 1840s (Keegan, 1996). To the British, in the early nineteenth century, Africa was known as a wild continent, a place of superstition & ignorance (Hall, 1993). Many believed that the British were ordained by God to intervene and improve the lives of the natives (Empire, 2012). Humanitarians had no desire to throw the indigenous people off their land; rather they envisioned a society of civilized black and white Britons living along side one another in harmony. They would speak English and their attire, attitude and architecture would all be of British style (Lester, 2002). Elbourne (2002) and Keegan (1996) argue that colonisation was (and still is) driven by avaricious eurocentrics who use the banner of universalism to justify their actions. However some missionaries such as David Livingstone had a different agenda. Livingstone, who went to South Africa in 1840 (Elbourne, 2002) had the intention of spreading the message of salvation in Christ. He sincerely believed that this would enable all humans to realise their purpose on earth, possess genuine hope and to reach their full potential (Monk and Livingstone 1858). Northcot (1973) describes Livingstone as a proud coloniser whose reason for being in Africa was to “offer the benefits of the white man’s civilization, and [displayed] no latter day beliefs in the black man’s freedom, liberation and independence”(1973:74). Although it is unmistakable that Livingstone’s Christianity, commerce and civilization was a significant factor in European Imperialism (Monk, 1858), it would be unfair to describe him as devious and scheming. His motives were not entirely for self-gain. Using trade as a favourable alternative to slavery, first and foremost his priority was to create peaceful environment for the spreading of Christianity (Empire, 2012). Although an arduous task, he believed it was an appropriate response to the gift of eternal life that he had received from God. “The perfect freeness with which the pardon of all our guilt is offered in God’s book drew forth feelings of affectionate love to Him who bought us with His blood, and a sense of deep obligation to Him for his mercy has influenced… my conduct ever since” (Livingstone, 1858:XVI). Although they did make costly errors such as subverting native cultures and excluding those who refused to ‘convert’ (Hall 1993, Elbourne, 2002 and Keegan 1996), some humanitarians believed that they were pleasing God by acting in a benevolent manner and facilitating the aggrandisement of people from other countries. In the late nineteenth and early eighteenth century, campaigns to abolish slavery in Britain were manifest and from 1800 the humanitarian concern extended to the treatment of indigenous people on the colonial frontiers (Lester, 2002). There were however, some avaricious settlers who had no real interest in the indigenous people other than to use them for cheap labour in their harsh regimes (Empire, 2012). The settlers’ goal was to make money from imperial products such as sugar, cotton, wool, fruit, wine, tobacco, copper, fur and ivory to enrich Britain’s economy (Sandhu, 2011) and for their own profit. To settlers, humanitarians were naïve and they needed to recognise that Africans were irredeemably savage. They were furious that the humanitarians were showed support for foreign people instead of their fellow Britons (Lester, Nel and Binns, 2000). Primarily then, rather than seeing the redemption of backward people like the humanitarians, what the settlers desired was material gain. Malthus’s influence lead many to doubt that Britain would ever progress to a utopian society. Therefore in 1819 the British government, afraid of a revolution established an emigration scheme and in 1820 four thousand settlers arrived in The Cape Colony. The settlers were ignorant to the fact that they were alleged defense soldiers of the eastern frontier. They had been persuaded that Grahamstown was an appealing foreign town where they would acquire extremely cheap land. They saw The Cape as a place where they could enhance their standard of living (Lester, Nel and Binns, 2000). The Xhosa retaliated and this conflict between the settlers and the Xhosa provoked the war of 1834-7. This war also incited the contest of representation between the settlers and humanitarians in the Eastern Cape (Lester, 2002). Fuelled with outrage after the loss of their land, twelve to fifteen thousand Xhosa invaded the Cape Colony in 1834. This was just three weeks after slavery had been abolished there. The British settlers were eager to fight and hoped the outcome would be possession of more land and also the use of defeated Xhosa for labour (Legassick and Ross, 2010). The superintendant of the London Missionary Society in the colony, Dr. John Philip, was committed to defending the Xhosa and represented their cause to Thomas Fowell Buxton who was leader of the antislavery movement in the House of Commons back in London (Lester, 2002). Philip and other missionaries began to use their powerful humanitarian network to persuade the British government that they should sympathize with the Xhosa rather than support the British settlers (Elbourne, 2002). Humanitarians reported that the settlers conducted brutal behaviour towards indigenous people in the colonies. They were portrayed as cruel, insensitive and a disgrace to Britain (Lester, 2002). 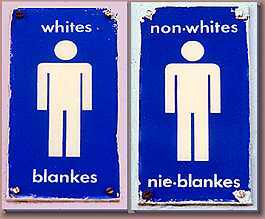 This provoked the settlers’ antipathy towards both the Xhosa and the humanitarians (Lester, Nel and Binns, 2000). Anxious to defend their actions, the settlers ensured that a different conception of Britishness reached other colonies and back to Britain itself (Lester, 2002). To justify their colonial practices, they asserted that Xhosa were an inferior race, and there were immutable human differences (Keegan, 1996). In order to shift public opinion in Britain and in other colonies the settlers founded newspapers to represent their version of events. The Graham’s Town Journal was launched in 1831, which “provided a public sphere for the common articulation of bourgeoisie values and aspirations, in the context of a threatening physical and social landscape” (Keegan 1996:73). The settler newspapers became a way to launch an attack on the humanitarian notion that all people were equal. The settlers included photographs and reports of Xhosa violence against Britons as propaganda. This promoted the recognition of innate racial difference. Using a trans-national network of communication, propaganda of this sort was also represented in The Times newspaper in Britain, and in other colonial settler press (Lester 2002). In order to convince the British public that indigenous people were inferior, settlers in colonies all over the empire, began to search for scientific evidence. “The search to establish the lower limits of humanity became especially important in the eighteenth century and in the hundred years or so before Darwin this came to be expressed in terms of “the missing link” (Dubow, 1995:21). There was now some disillusionment among humanitarians. They had thought that the redemptive action of God did not recognise national boundaries (Keegan, 1996). However, despite efforts to civilize the indigenous people, some humanitarians began to realise that their expectations of ‘improvement’ were not being met. The Africans were not as easy to teach and mould as the Britons had hoped (Crais, 1992). By 1847 in a later war with the Xhosa, humanitarian John Fairbairn, editor of the South African Commercial Advertiser, began to echo the settlers’ Xhosa criticism (Lester, Nel and Binns, 2000). As Keegan (1996) points out, Fairbairn was Dr. John Philip’s son in law and prior to 1847 had been explicit in his humanitarian disposition. The South African Commercial Advertiser was the rival of the Graham’s Town Journal therefore Fairbairn’s abandonment of humanitarian beliefs was a strong indication of decline in the humanitarian political voice Africans began to be represented as inherently lazy by both humanitarians and settlers. It was reported that black people needed rigid control and the humanitarian view now seemed naïve and misguided (Lester, 2002). Perhaps some of missionaries were also beginning to lose the vision of the heroic pursuit of claiming souls for Christ. Although it had invigorated them at first, perhaps it had now become problematic in reality as Xhosa rejected the missionaries’ ideals of civilisation. The humanitarians expected gratitude from Xhosa but this was not always their response (Crais, 1992). “a little above a monkey tribe, and scarcely better than the mere brutes of the field. They are sullen, silent and savage – mere animals in propensity, and worse than animals in appearance” (Knox cited in Dubow, 1995:24). Knox and others began releasing pseudoscientific inferences to justify the belief in the indigenous people’s racial inferiority and so the humanitarian view of equality and emancipation was overpowered (Hall, 1993). The confident assumption that Britishness represented the norm was reinforced by scientific racism in the mid eighteenth century (Hall, 1993). The colonial project was divided at first due to differing incentives and the humanitarian disapproval of the settlers’ brutal treatment of the indigenous people. As Lester (2002) argued, the contest was related to the idea of an emerging British civilised character. The source of disagreement between humanitarians and settlers was the treatment of the indigenous people (Lester, 2002). The analysis of the Cape War in 1834-7 highlights the conflict in the discourse and actions of the humanitarians and settlers. A number of humanitarians became disappointed when the indigenous people refused to abandon all aspects of their lives that did not accord with the humanitarian definition of civilised values (Keegan, 1996). This resulted in the racist declaration that black people were innately inferior and these notions of race were spread throughout the empire. By the end of the nineteenth century, biological determinism had become the dominant understanding in the British Empire, Western Europe and the USA. As Lambert and Lester (2004) assert, it is important to be sensitive to differences in Western agendas for change, both in history and in the present. While acknowledging that the Britons’ appalling behaviour did cause great suffering and most aspects of British Imperialism was atrocious, this paper sought to sympathise with human weakness rather than deem all colonisers evil. I like this essay, it has a similar context to what I’m studying. I am familiar with some of the references but would like to see the references or bibliography. If you could put them up or send them to me, it would be much appreciated.